PRESENTING PRINCESS SHAW: YouTube Star or Prop? The ultimate dreams of success are not to be CEOs or Bawse moms with their own paper. For little girls the current pop culture mindset is to be a star without any recognition, without any of the politically relevant skills and thought processes that transfer into real economic and social power. Wishing to be a princess or a star is what capitalism sells kids before they can walk any other lifestyle or mindset. If you grow up with an ambitious financial mindset— what I call “ecological fitness” for girls–when you’re young, black, and female, the stereotype and stigmas of black-femaleness often erase you from view. It’s easier to see the gold-digga, hoodrat, and ratchet baby mama as if being a black girl growing up in America ain’t hard enough. When I was a girl, I dreamed like everyone around me of being the Beyoncé of my time. Then it was Diana Ross. She left her girl group to go on to become the biggest women in the music business. We girls embodied her lead position in play but never learned what it took politically to get there other than some rumor that women slept their way to the top. And I don’t mean the Disney caricature of a sleeping beauty. Next week when it opens, I’m going to go see the film Presenting Princess Shaw. Her real name is Samantha Montgomery, a 38-year-old single woman originally from Chicago, living in New Orleans. It’s playing at the IFC Center–the art film spot in Greenwich Village NYC. As a social media researcher who specializes in the unintended consequences of YouTube and its social sharing networks for marginalized girls of color, I am interested in examining both the views and reviews this film is getting by the numbers and through the critical lens of repeated cultural appropriation and sexploitation of black female culture in social video, embedded sharing, comments, and its bottomlines — who profits from its popularity and who gets the fame that translates into real capital? A Guardian article from last September concluded by hinting at the hidden issue of the Montgomery’s clearly not paid-in-full digital labor or exploitation by Israeli documentarian Ido Haar and Israeli producer Kutiman who remixes musical clips from videos uploaded by users in his Thru You series. This is not to say she wasn’t paid but was she able to transact for the rewards and resources they surely imagined from the start? Probably not. In her older than expected “princess” fairy tale I am curious to see if the happy ending is no more than the emotional labor associated with her YouTube videos; none of which on first glance have more than 9,000 views which is huge for an average or ordinary YouTuber but a pittance for anyone claiming to be a YouTube star these days. Viral videos that make it big 9 times out of 10 are professionally produced. The question I hope seeing the film answers is whether the protagonist of Presenting Princess Shaw gains more than social capital; can she, is she, or will she have the relevant political skills as a YouTuber to translate her social worth to the film into economic capital in her life of poverty. As I plan to watch the film next week, I have a big question. How will Samantha Montgomery, a 38-year-old single woman struggling in New Orleans magically thrive without the real political tools for change in a market economy that never teaches the poor nor allows the girls and women of color to not only profit but overcome centuries of oppression? The fame thrust upon Montgomery by creatives in Israel may not fill the deep pockets of her unique poverty with the kind of power she needs to move out of a paycheck-to-paycheck existence working in a nursing facility. Being happy seen singing songs on film and being able to take care of your primary conditions of life–health, money, work, home, and family–are never synonymous. I hope she transacted for what she truly needed and that is never fame in and of itself. On the surface of things–perhaps she has a different story to tell; I have not had the privilege of hearing her tell her side of the story after the fact– I suspect she is ill equipped to handle (hell, I would be ill-equipped to handle) the kind of analysis or critical thinking needed about the hidden costs of such fame, the licensing agreements, marketing, monetization of my channel and any contract, the implications of viral videos and feature films for my future once the film is no longer relevant, ownership of my image and digital content–for instance, asking yourself if a song yours cuz you sang it on YouTube?–and much, much more. No one ever taught me that and they sure don’t teach that to kids in school–and its’ definitely not taught to the girls who dropped out of math and science classes by high school or college. I’m one of them. I know. The Cinderella in stories told by Disney (read the critique by Peggy Orenstein here or the critique on NPR here) never asked for much. She wanted the patriarchal fantasy — the man savior never making from life’s racialized and gendered oppression in other ways as Beyoncé Lemonade has done from years of hard labor and rich collaboration. The social and psychological socialization of growing up black, female, and poor in the U.S. tends to limit our imagination to two options — the path to money through men and the systems of fame they created (see Nicki Minaj or Blac Chyna) or the illusion that someone might save you from the poverty most black women from low-income to middle-class occupy (see Blak Chyna or the distorted view that surely some girl out there has that Michelle Obama is famous because her husband is the president of the free world). My examples can be debated but I hope my point is not lost. What futures are we announcing with existing social and viral media — commercial or user-generated– and what futures are actually available to most girls of color if they are not armed with the ethical study and analysis of the oppression, exploitation, and limits of power given to girls and women locally, nationally, and internationally by race, class, and gender? And let us not misread the “magic” of black girls and women. This is not the magic of a slight of hand or luck. It’s work! And it’s not the wage labor of the body (or stripper booty aka handle your paper). This is about the work and action of the mind and that is what matters for the Minajs and Knowles and Chynas out there. This is the legacy of the intersectional work of womanists, feminists, anarchists, progressives, and everyday mothers, sisters, and daughters before the Internet was a thing. My mother has been reminding every time we talk lately about how much of this is lost or not being exercised today. Some day, when we free democratic systems–schools, media, family, government–from patriarchy (h/t to Carol Gilligan), girls and women will be free of the fantasy of the glass slipper or the diamond ring to grasp the reality that society can break that damn glass ceiling. That beloved community — what some call the art and discipline of nonviolence — comes from serious study and long-term planning. 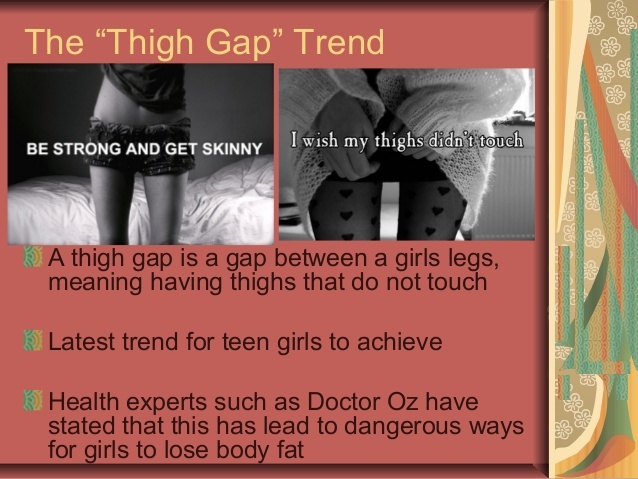 We must learn how to teach girls and women that some day planning for wealth and health is far better than the glitter of 15 minutes of social media fame! And it’s never to late to learn this, said the black woman struggling over 50! POSTSCRIPT: I posted a similar video in a blog post a while back of this same very young girl–JoJo–who asserts to her daddy in more than one video that “I am is NOT a princess”. In this one she insists, “I’m a real person!” It’s precious and it made me think about the oppression socialization around why girls are marketed the princess ideology and why more girls don’t resist it. We all have dreams and we have the right to imagine ourselves any way we choose. So I am not knocking Montgomery’s right to name herself as she chooses. What I question is the structures of power — particularly those of others– to exploit her circumstances and desires. I hope she understands the control over her representation they may wield and the politics she, or anyone else like her–a marginalized woman of color–needs to turn their 15 minutes of fame into long-term resources. It’s the bottomlines — the multiple forms of capital (i.e., social, economic, human, and cultural) involved that concerns me. I also notice a tendency for female singers to be exploited because we tend to not be well-educated in the power and politics of the music business. I want Montgomery, and others like her, to learn to transact so they can thrive not just survive. This post was prompted after being contact by a reporter. In preparation, I started doing some study of her channel and the film. I’ll see the film within the week. Stay tuned for more. What would happen to the future of white supremacist patriarchy if [hegemonic] white [fe]males were choosing to form serious relationships with black females? Clearly, this structure would be under mined. So Mashable releases a video (Monday, September 14) of this adorable and sassy little white girl named JoJo. 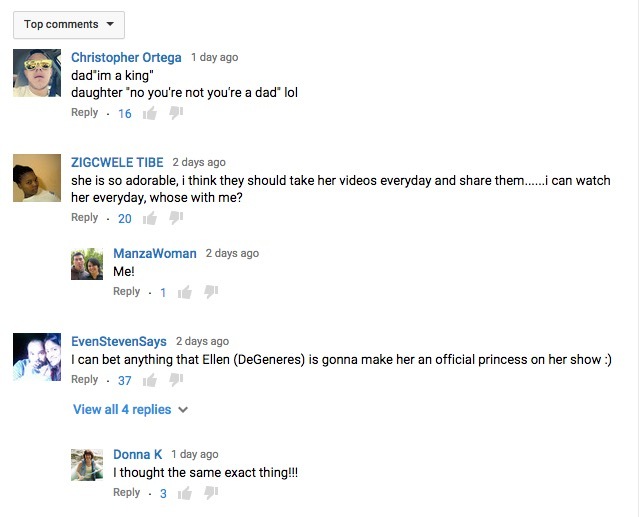 JoJo is having a logic and YouTube-adorable argument with her Dad explaining how she is NOT a princess. JoJo: “No! Don’t ask me any questions, I just need <indistinguishable>. Dad: I wanna call you my princess. JoJo: NO! You cannot call me your princess, o-KAY DAD!?! So you can see how from the viewers standpoint we must fix JoJo. She cannot be denied her “rightful” place in the habitus — the “trained capacities and structured propensities to think, feel and act in determinant ways, which then guide them’ (Wacquant 2005: 316, cited in Navarro 2006: 16)” — of hegemonic femininity, fantasy and seduction, can we now?!? Her dad tries to convince her otherwise. She IS a princess, he insists in one way or another. Here, her dad–used by his own habitus of hegemonic daddy-hood and masculinity — denies his daughter her sense of agency, unintentionally–we are all creatures of our habitus of the structures that keep the logic of hegemonic masculinity and femininity in place. The capacity of individuals to act independently. The idea that children can be seen as independent social actors is core to the development of the new paradigm for the study of children and young people that emerged in the social sciences in the 1970s. It underscores children and young people’s capacities to make choices about the things they do and to express their own ideas. Through this, it emphasizes children’s ability not only to have some control over the direction their own lives take but also, importantly, to play some part in the changes that take place in society more widely. As Mayall describes it, a focus on children’s agency enables exploration of the ways in which children’s interaction with others ‘makes a difference — to a relationship or to a decision, to the workings of a set of social assumptions or constraints’ (Mayall, 2002: 21 quoted in Allison James & Adrian James, Key Concepts in Childhood Studies, Sage Key Concepts, 2008: 9). Then along comes Katy Perry using her millions of followers on Twitter to do the same. In the name of cuteness, Katy will usurp this little girl’s agency to insure she fits the norm and gets the bracelets JoJo argues distinguishes her from a real princess. All little girls should want to be a princess and get the diamond bracelet, right?!?! The last thing girls need are more myths about having someone one else buy the jewels that make you whole or someone else who comes to save you from the fate of second class citizenship. Let’s just deny JoJo’s healthy agency and replace it with money and jewels. Patriarchy wins! JoJo is on to something! Don’t let them seduce you, oh great one, with jewels. Daddy, pay attention! Let your girl grow up to be her own definition of self. Let her be an assertive, independent, a social actor with her own voice and her own actions with your loving support and protection. But Katy Perry has to go and start a Kickstarter campaign for her to get the bracelets. PU-LEEEZ!! IT’S NOT ABOUT THE JEWELS, Katy! Stop messing around with the myths and mental maps of reality that seduce girls into subservience to body and beauty politics. This girl gets it on some brilliant level as a child. Don’t mess with that!! Both the dad and Katy Perry feed into this enculturational process where girls are taught patriarchal femininity where girls should be selfless in order to have relationship. As Carol Gilligan notes in the video below, without a self you cannot be in relationship. IT’S BIGGER THAN BRACELETS, KATY! Having a female celebrity singer, a mega star, use her platform and privilege (and in this case white privilege) to help a girl whose intentions are very clear sends the wrong message in my book. I applaud Perry’s good intentions but the road to hell is already well-paved by such paternalistic moves in the name of male as well as female celebrities. How about helping raise millions for a cause in JoJo’s name that’s bigger than bracelets?? That could make her a princess of a whole different sort. There are millions of girls right here in the US (let’s not go white savior on Africa or Southeast Asia for just a minute) who she could help; millions of marginalized girls of color and poor white girls would get more bang for those bucks. Let’s start thinking impact not celebrity diamonds for JoJo. Queens and princesses — the real ones — use their power to help the people who need it most. This moment of lifecasting on YouTube by JoJo’s dad under the username Lomelino Kids could have been (and still may be) a stepping stone to a kind of feminist stance about being beautiful and ordinary in an extraordinary way that is NOT about the body or mere beauty. Carol Gilligan reminds us that feminism actually is a liberation movement to free democracy from patriarchy. Women and men, girls and boys are not free if patriarchy is the structure of our lives, the order and measure for our success. If we situated the role of a “princess” from the historical GPS that dictionaries entries provide, the oldest definition is first, we might see how the structure of a princess’s power has devolved over time. JoJo has everything she already needs and learning about other notable princesses or queens other than the fictional Disney versions would be a real asset. Learning about Nefretiti, who was considered one of the most powerful women to ever rule, Marie Antoinette, who rose to the throne at 14, Queen Liliuokalani of Hawaii or Queen Noor of Jordan would be more beneficial than bracelets from a Kickstarter campaign. But that is not what JoJo is being enculturated into. YouTube’s media ecology will amplify a totally different intention that JoJo asks — back to the seduction of the jewels. I skimmed the reactions to the video and most have little to do with JoJo’s agency and more to do with reasserting the normative expectations where we romantically seduce little girls into a focus on their bodies and how they adorn them. Read: Isn’t she cute trying to break the chains of patriarchy but it ain’t that serious. She’ll grow outta that with the help of Daddy, Katy, Kickstarter and the crown achievement of some jewels. This makes it all about the jewels and adornment not the substance and character of an independent or interdependent girl or woman. 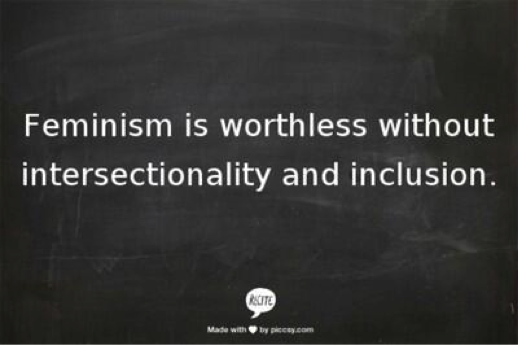 Have a look out these two remarkable YouTube videos about feminism. They helped me resituate some of my own thinking. “Feminism” from women aged 50 down to girls aged 5. When I was in high school back in 1979, I imagined and began to deeply desire becoming a lawyer. I think for my adolescent self it was about a need for control that most children–adolescents and teens–don’t have because of their position in society, because of age. Wanting to be a lawyer also fueled a desire for protection from harm that I saw was missing in the lives of children in their own homes, including my own. My desire to become a lawyer was threatened off by a major motion picture in 1979. It was my senior year. The year hip-hop went mainstream with “Rappers’ Delight” and “The Message” both on Sugarhill Records. The feeling I had as I exited the movie theater scared me off completely. Corruption would break me. No justice? No inner peace! This morning I decided to watch a clip of the final scene from “And Justice for All” starring A list actor Al Pacino (post Serpico fame) and tears welled up in my eyes. The scene dramatically exposed confronting the corruption in a U.S. legal system. I saw that film over 30 years ago and my deep passionate desire for protecting children–especially girls–from harm persists. Now I’m standing for the ethics around studying human subjects in the complicated public spaces of YouTube. And it’s all a remnant of that teenage desire I tried to run from. When I left the theater, I left that dream and my voice behind. A hidden sacrifice I never shared with anyone. Then, as a singer in my first year of college, I shouldn’t have been surprised that I was afraid to express myself publicly. That fear haunted me for 20 years. My diary was violated during my late adolescence and again in grad school. My private thoughts were always intruded upon. Sometimes I think I’m better from blogging and that even the publicly personal style of vlogging brings a kind of safe, constructed intimacy that gives me a sense of control I never had in other situations as an adolescent. Even though I have pronounced all kinds of truths and partial knowledge in front of a classroom before hundreds of strangers who became familiar faces and sometimes friends, something about truth-telling to myself is missing. It has everything to do with being “black” and “female” in the body I was gifted on this ride around the Sun. Lately, the hegemony of corruption and the lack of concern for the ethical and humane treatment of black people and black girls threatens to rear the head of my silence again. Seeing black people as fully human, as fully enfranchised citizens protesting their unjust treatment, and as expressive beings finding solace in a moment of dance and pleasure like in the twerking videos I code and analyze, seems so foreign to others, to far too many. It frightens me in complicated ways and I am frightened or at least concerned for the girls I wish to impact with my work. Look, I initially didn’t want to study twerking. I had adopted a pornographic lens about it at first that triggered all the usual respectability politics often heard around black girls’ sexuality or actual eroticism in the pleasure of loving to dance. Things have changed. Now I am realizing something invaluable: Madness may not be a choice. You can either go mad hiding or you can use the madness to fight injustice. Either way it seems madness will be close at hand. We humans are always on the verge of it and it’s not because black people are angry thugs or thots (them hoes over there). I had no memory that the film “And Justice for All” was set in Baltimore. I grew up and went to high school in Rockville, Maryland, just outside D.C. and 40 minutes outside of Baltimore. My grandfather loved to get lost on purpose whenever we took a trip Baltimore. It was his way of discovering new neighborhoods or maybe seeing how other blacks were faring in our home state. Haven’t been to Baltimore much since my senior year in 1979. Perhaps I should watch this film again given all that’s happening today given that Baltimore’s protest has replaced Ferguson’s along with the distortions and censors of today’s short-sighted news reporting cycles. I saw people complaining about man-on-the-street interviews being censored and interrupted mid-stream on CNN. While watching clips from “And Justice for all” on YouTube I also noticed its all-white cast and seemingly color-blind portrayals of the roles within the criminal court system — defendants, complaintants, witnesses, power hungry prosecutors, defense attorneys, clerks, juries, and crooked judges. It all somehow still spoke to the same issues of blackness, wealth inequality, patriarchy, and sexuality and its accompanying bullying and abuse we see today. The same issues but with people of color filling the screens are all at work in Baltimore today. What I didn’t remember was how Pacino’s character defends a transgender client which I could connect to the fact that the #blacklivesmatter hashtag began as a reaction to the mistreatment and killing of transgender black females. Characters in the film went mad left and right and so are citizens in Baltimore and Ferguson and in transgender black networks. Madness turned within is as destructive as that seen in the rioting. Society needs protection from such harm and lawyers are a last resort. It begins with planning, organization and even the kind of CSI work I do with my students to figure out what’s actually going on with black girls who twerk on YouTube as far as the digital consequences and meanings of all the players in action there. Think about users, subscribers, viewers, commenters, the people who design the built environment and spaces of YouTube, media players like VEVO who distribute the content black girls who twerk dance to, and more. Don’t know why these two disparate yet related expressions are coming to mind: “Give me your tired and poor, the huddled masses yearning to be free” and, “Power to People! Power to Black People! Power to All people and to the land!” If I remember it correctly, that’s the chant of the Black Panther Party movement in the stand and message to us all for sovereignty. They were, as too few know, shut down by COINTELPRO. Their history of community progress and development was distorted and misrepresented by the FBI and mass news media.Generations of youth today still fear the black planet the news characterized about them. I had a student tell me he had no idea they were feeding hungry children and providing health care and that the average age of many in the BPP were 14-18, according to Ericka Huggins (listen). Without doing the critical study for themselves, students today continue to be miseducated. How can you learn anything critical on top of such distortions about our history in the US? But history is not self-perpetuating. And America’s history is messy and complicated like the courtroom scenes and the out of courtroom drama’s in And Justice for All (1979). This blog post came about because I was making a YouTube vlog earlier in the day based on comments from students in my anthro sections on ethics. They all took human subject research training and were certified in basic concepts related to protecting the subjects in our study (black girls ages 13-16 and younger) from harm. I was so moved by the matter-of-fact-ness of their embrace of three principles of The Belmont Report on studying human subjects that this blog is the result. The report insists on three principles that even I didn’t learn in grad school, to be honest. I never had an ethics training during my PhD. Can you believe it? Some of my actions in the past belie this reality. – JUSTICE or the fair distribution of the benefits and distributions of research; to each person an individual share, to each person according to individual need, to each person according to individual effort, to each person according to societal contribution and to each person according to merit. The report mentioned the non-consensual treatment or infection of black men with Syphillis. There are a great deal of non-consensual acts happening to girls under 13 on YouTube that I hope to confront with my work. Consent offline matters and the Children’s Online Privacy Protection Act matters, too! After students were certified in these basic tenets of conducting human research, I asked them what they learned and their comments were so insightful. These codes of ethical conduct matter not only in research but in life. The grandfather of Al Pacino’s character (Arthur) played by Lee Strasberg in the film says to his grandson, “If you’re not honest, you’re nothing.” #RESPECT! I am still learning what is it to be honest to what you spirit calls for you do to and to be true to setting yourself up to win. I didn’t take life’s lessons and I thought it would just all work out. Life doesn’t really work that way. It’s part dream and part work and action. ‪#‎followyourinnervoice and have a plan of execution. Just uploading any old video online can have severe costs later. You never have a second chance at a first impression! Sexual assault and issues of consent or lack there of can shape you and break you. Yet, each of us harmed by such events must still learn how to find our own voice, become an adult, reclaim old desires left behind from fear, and stand up for our SELF when others whom you expect to don’t. So much about patriarchy and about rites around girls and women in families are norms gone wrong. They are in need of deep societal, familial and community caring-frontation and change. This student’s email reflected how they blamed themselves for not being able to finish their work under such extreme circumstances. Yeah, it’s always you’re fault. Don’t expect any compassion these days. They wrote to me: “I know there will be penalties for not turning work in on time…”. If they say no, then there’s work to do. While this student has generally kept up with work and is known from their class participation, they have also hugged the wall just near the door and, in hindsight, avoided conversations that infer sexual exploitation of the girls we are studying on YouTube. We are human and we are affected by what we study in ethnographic inquiry. In response, I invited the student to realize that there are no “penalties” and that students are not “on trial” in my classroom. Yes, there are costs for not turning in work but they are actually beneficial costs (beneficence) not penalties (losses or risks of harm). Such constraints inspire and agitate us to stay on track in coursework. Maybe we all need to learn more about ethical standards of human interaction so we don’t get the penalties twisted up with the benefits of boundaries and limitations which most adolescents resist with everything in them. Without a voice, there is no respect, beneficence and justice and that goes for all those in Baltimore and those in my classroom in NYC. And I must remind me. I added these lyrics to Rap Genius cuz 1) not a lot of women contribute to the crowd-sourced lyrics and annotations there it seems and 2) no one had put these great lyrics up before. They needed to be there because Rah Digga is a badass and so was and is Angela Davis still! We need more black female contributors to the participatory culture of Rap Genius, Wikipedia and YouTube. More girls making their own beats to dance to and more criticism of the music they want to get from artists they love! Girls and women run the fan videomaking culture on YouTube!! But the politics of the market never work for them. It ain’t too many o’ you broads got the stomach for dis! Do Feminists Have to Be Beautiful, Youthful or Famous to Matter? 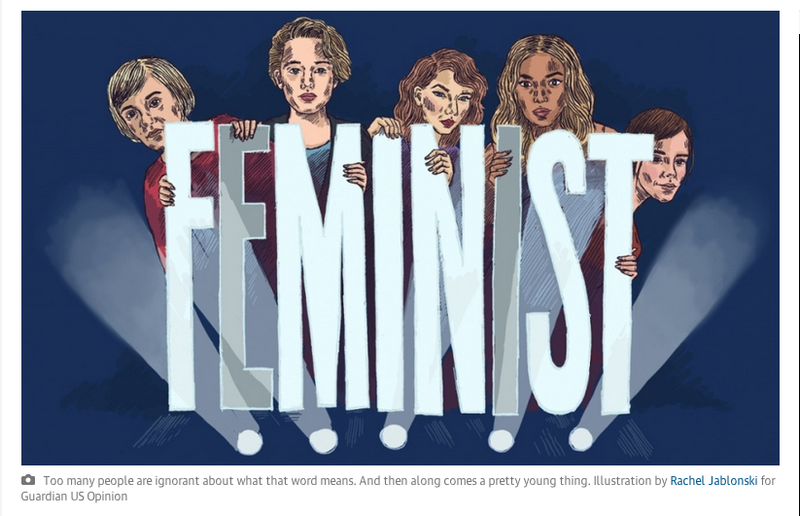 “It irks me that we more easily embrace feminism and feminist messages when delivered in the right package – one that generally includes youth, a particular kind of beauty, fame and/or self-deprecating humour.